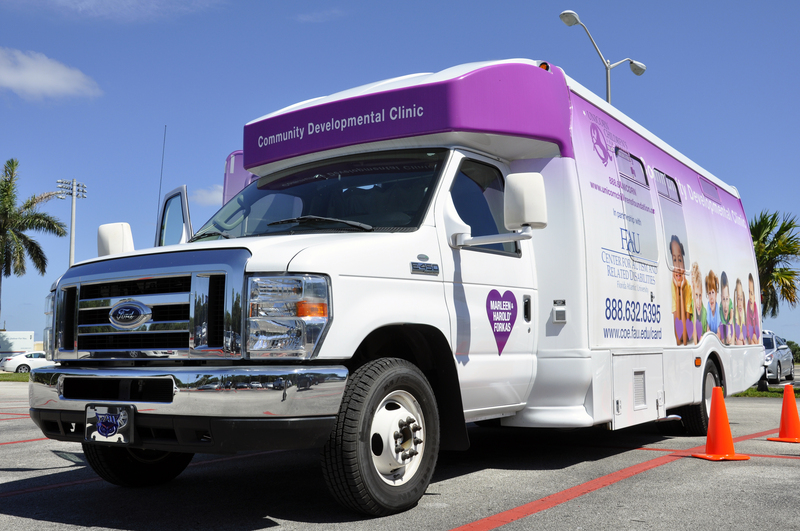 Thanks to the Unicorn Children's Foundation for their donation of the mobile developmental screening clinic to FAU CARD. Due to this generous donation, we are able to conduct free developmental screenings throughout our entire service area. This service, in particular, is critical for children and families experiencing developmental concerns, as early screenings leads to early diagnosis and early intervention. For information or to schedule a visit from the clinic, contact FAU CARD at: 561.297.2055 or email us at card@fau.edu.